DAVID LE/Staff photo. 6/3/15. 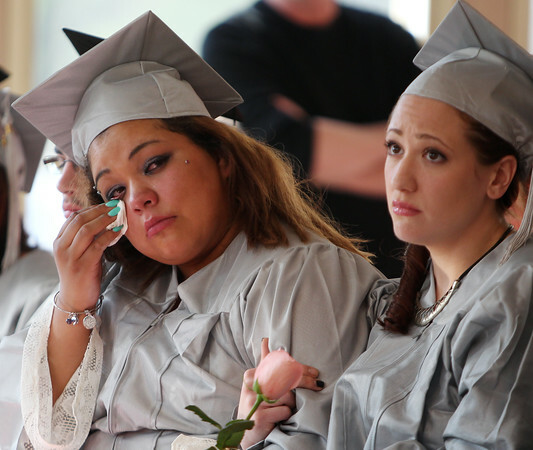 North Shore Recovery High School graduate Julia Dietz, left, wipes away a tear during a moment of silence for Daniel Amor and Kelly Johnson, two classmates who passed away this year from heroin overdoses, while classmate Jill George, right, hooks her arm in comfort.